Many of us enjoy a fun food festival, and buy tickets with the assumption that the festival, you know, actually exists and is going to happen. 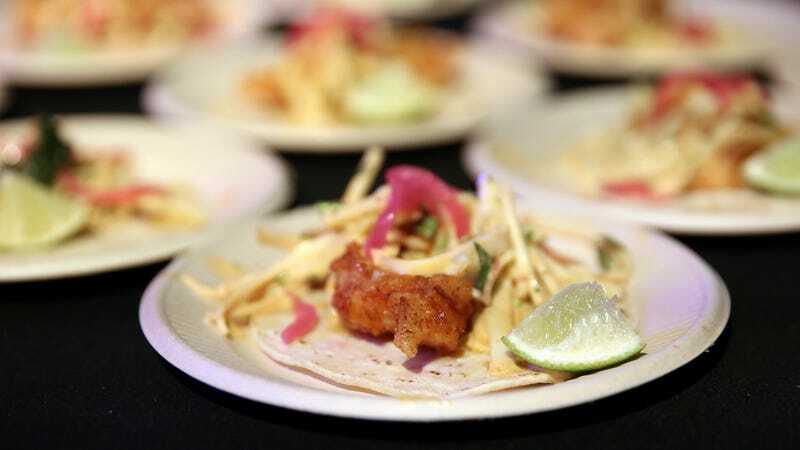 That’s where many Chicago food-fest lovers were let down, as they purchased tickets to fraudulent taco, bacon, and crab festivals, according to the Chicago Tribune. Now the Illinois attorney general is suing the festival promoter, Kristen Yvette Martin. Illinois Attorney General Lisa Madigan straight up called these fraudulent events the act of “scammers,” hence the lawsuit, which “seeks to prevent Martin from promoting such future fictitious events in Illinois and to impose a penalty of $50,000 for each deceptive act and an additional $50,000 for each act committed with the intent to defraud.” This still seems pretty tame, as Martin apparently has promoted previous fraudulent events across the country since 2013, according to the lawsuit. Let this be a lesson, festival lovers: As we’ve advised before, don’t buy tickets online without thoroughly checking that the festival has a location, a reputable organizer, and a customer-service line. Corporate sponsors are a good sign, as are pictures of previous events. Maybe email someone associated with the festival ahead of time, before forking over your hard-earned cash online—no matter how much you love tacos.